Playful by nature and fun to eat! Skips are a uniquely fizzy, light, melt-in-the-mouth snack. First launched in 1974, Skips’ unique, tongue-tingling sensation has gained them a loyal following and made them a firm family favourite. 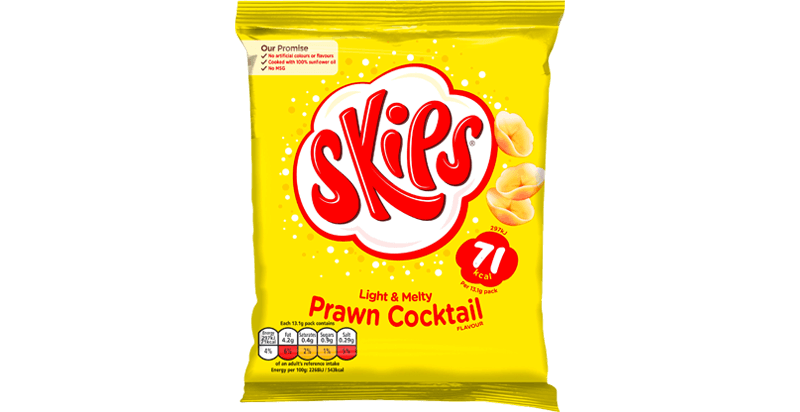 Skips prawn cocktail flavour has become legendary. And forty years after they first appeared, Skips are as popular as ever – selling three bags every minute!